Ok, it’s spring – sweet right? This time of year brings sunshine, springing forward, lighter coats, less (but maybe not no) snow, lots of mud and yard work, and often the urge to do some spring cleaning. Remember last year (or years past)? Spending the better part of the day cleaning out and getting rid of stuff, tidying up the garden and getting the garage in order for summer? Are you going to do some of that this year and maybe Marie Condo your life a bit in the meantime? Good idea. But let me help you watch your back while you are at it ok? Why is cleaning up around the house back unfriendly? 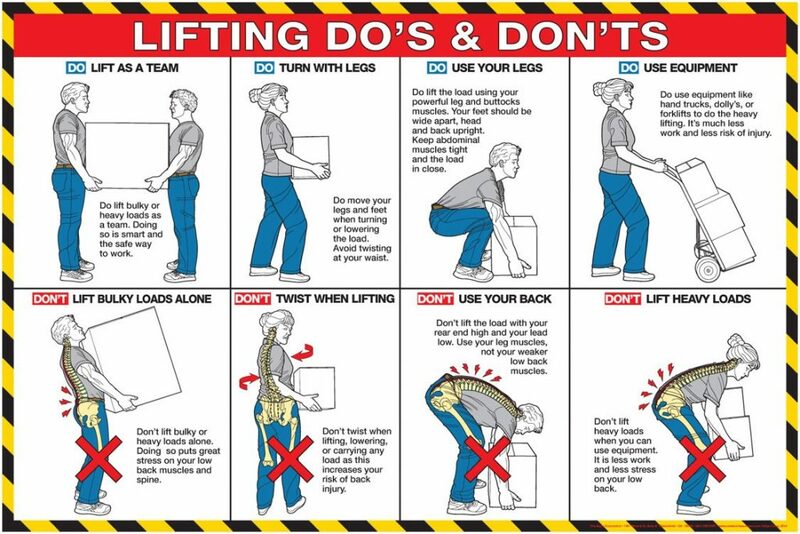 Pay attention to holding the load as close to you as you can and don’t make it awkward – also look at the lower right hand picture above – dot round your lower back – always keep the normal lordosis in the lower back – it helps protect you from injury. Lots of gardening is about to happen too right? Best tip for gardening is to get close to the earth – either sit or kneel on it or buy a garden stool. The closer you are the better your back will do with it. Try not to twist but approach things face on – and remember the lifting tips above! 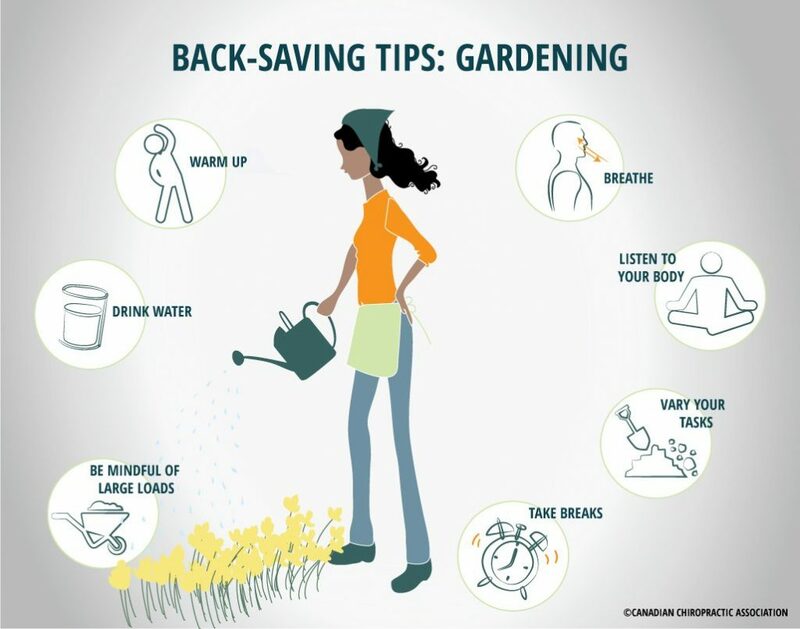 Check out the pic below for more tips about gardening.